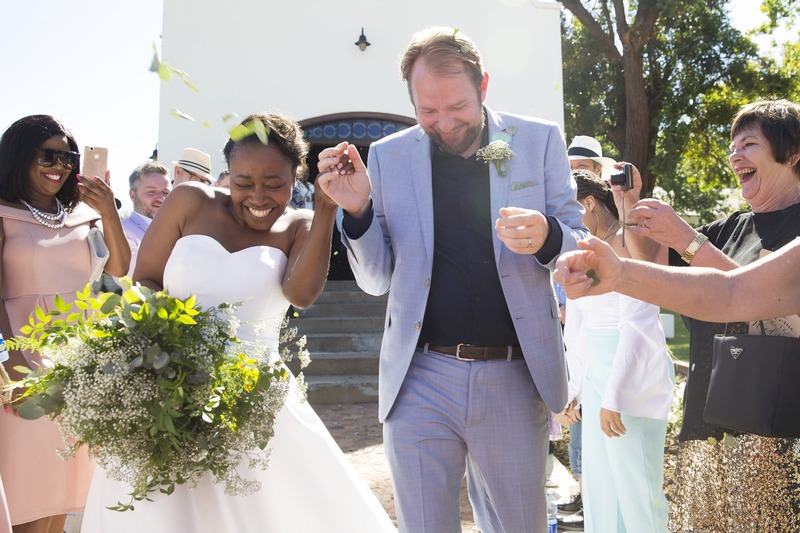 On the 13th January 2018, Michelle and Stian got married! 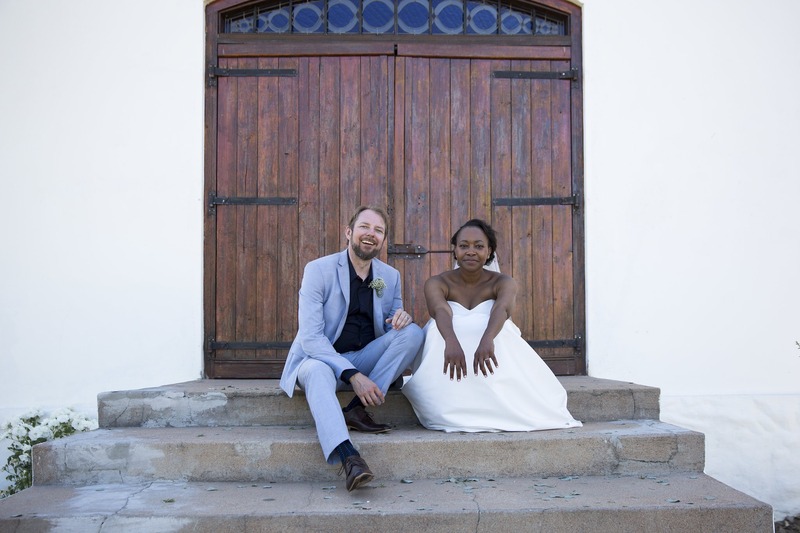 Michelle and Stian live in Norway and have done so for a couple of years. 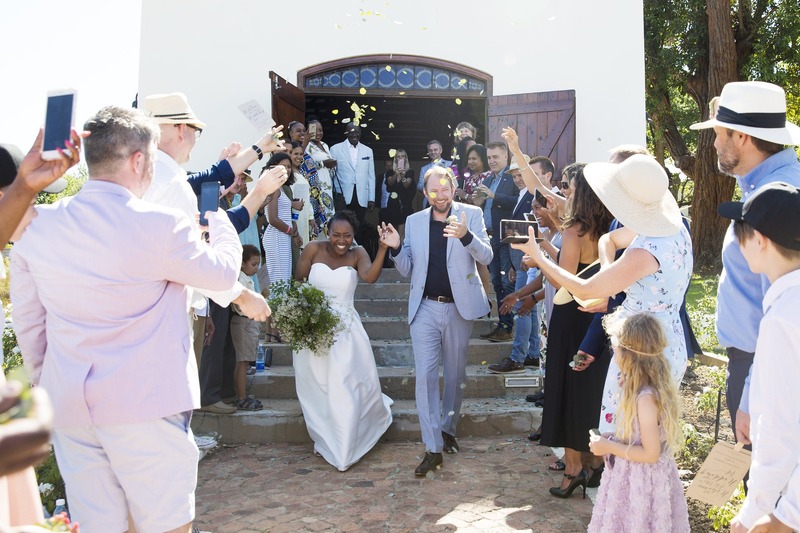 As most of their family and friends live in South Africa, they decided to get married in Cape Town. 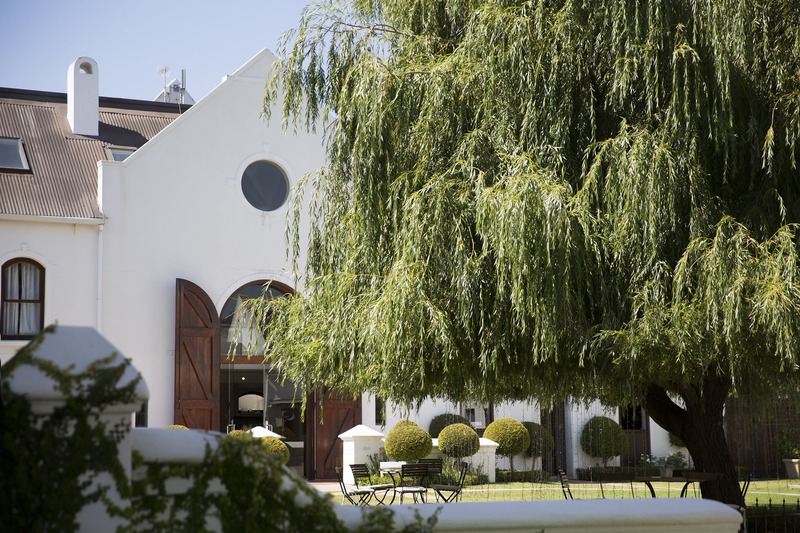 They loved the idea of a wedding on a wine farm. 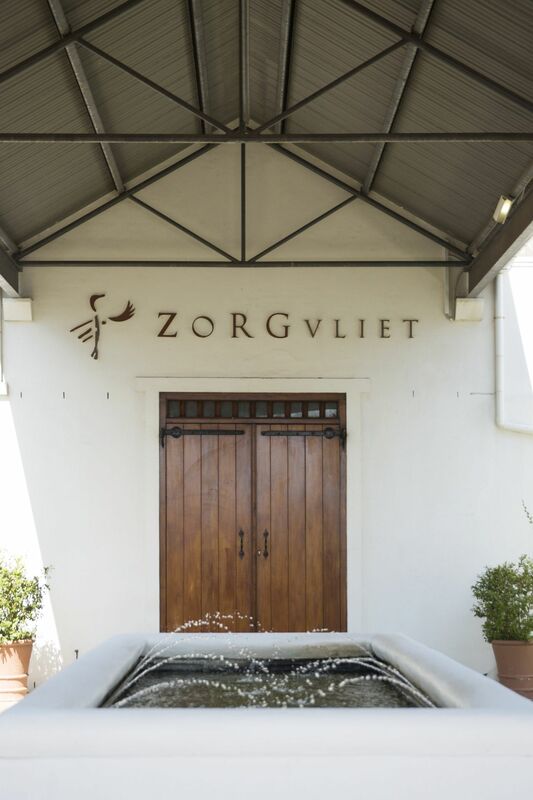 After going through lots of venue ideas, Zorgvliet was the chosen place. 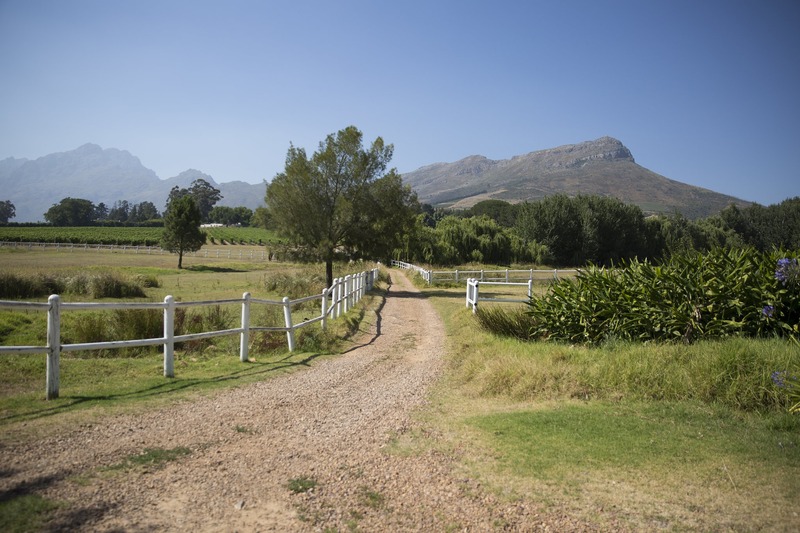 Zorgvliet is situated in Stellenbosch, along the Helshoogte Road, this area has the most beautiful views of surrounding mountains & valleys. 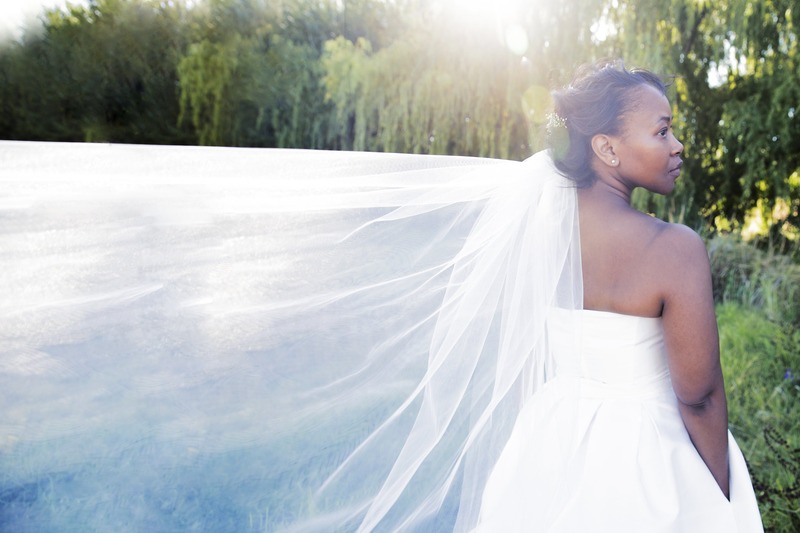 On the property, they have a lovely Chapel which was the ideal setting for a ceremony. 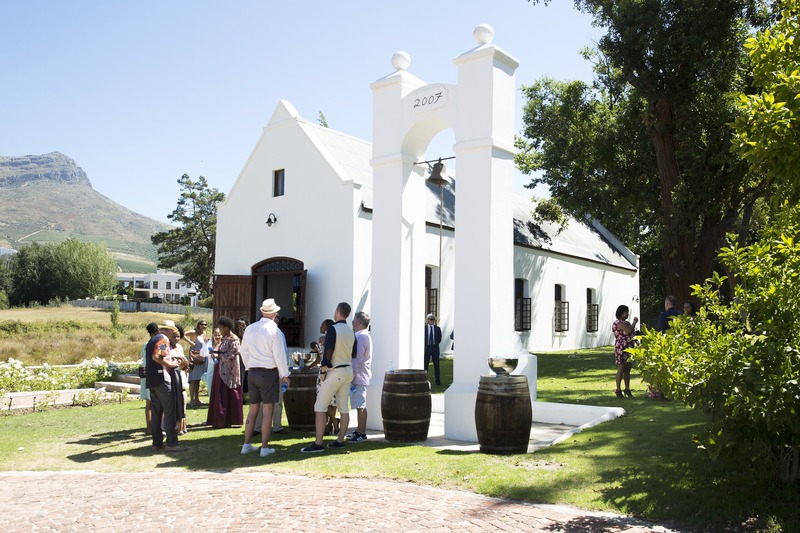 They chose to use the chapel as January can be very hot in Stellenbosch so shade is most welcome compared to sitting outside. The ceremony was lovely and personal. Some guests even sang the African sounds of cheering and lots of laughter filled the room. 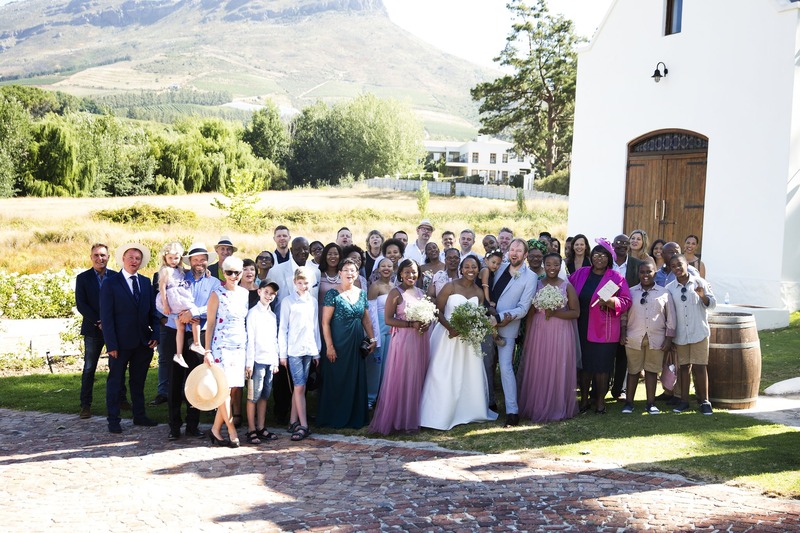 We just loved this mix of the African and European crowd all coming together to celebrate the love of this special couple. 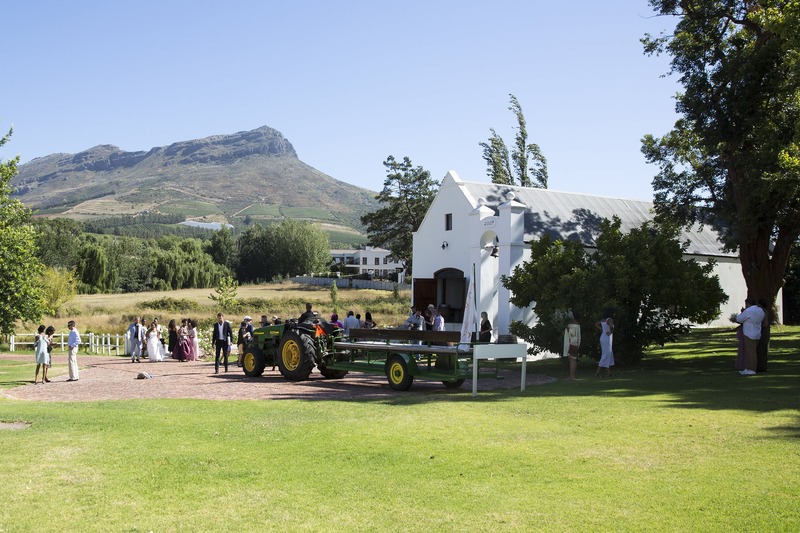 The venue offers a tractor to transport guests around the farm. 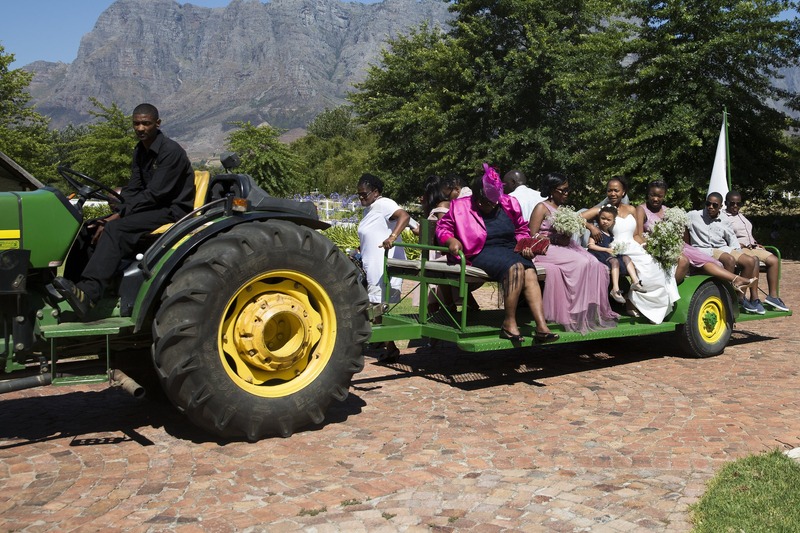 So after the ceremony, the guests congratulated the couple and off they went on the tractor to pre-reception. The pre-drinks were held on the outside balcony near the reception area. The pool was also open for kids to swim and play lawn games. 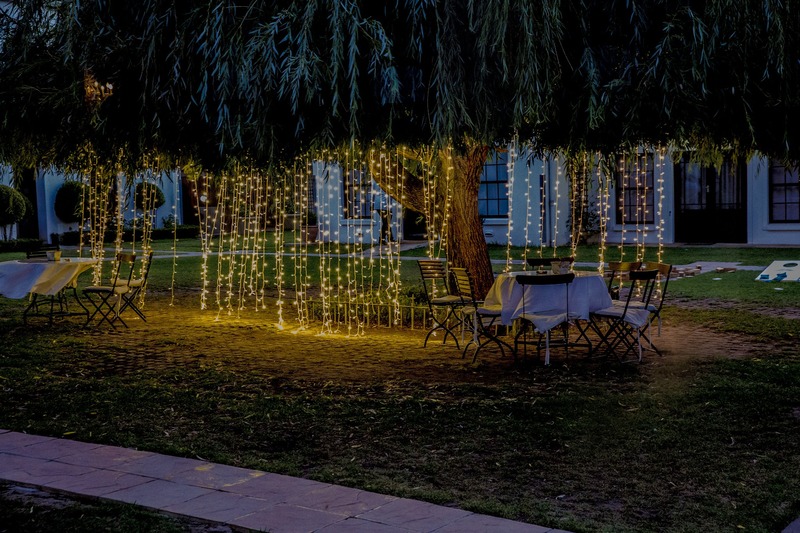 It really was a very relaxed wedding with guests enjoying the food & drinks. 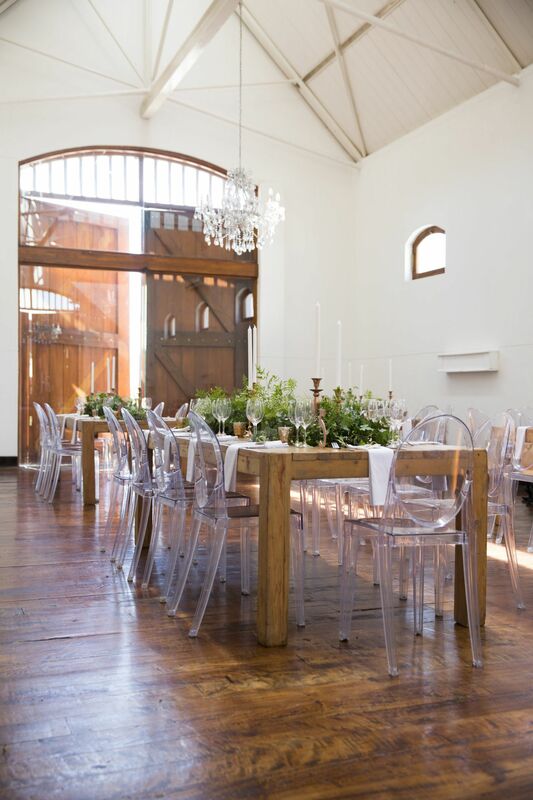 They had a harvest table filled with delicious cheeses and bread. Michelle and Stian had photo’s taken during this time and once they were done, we ushered all guests to be seated for their grand entrance. 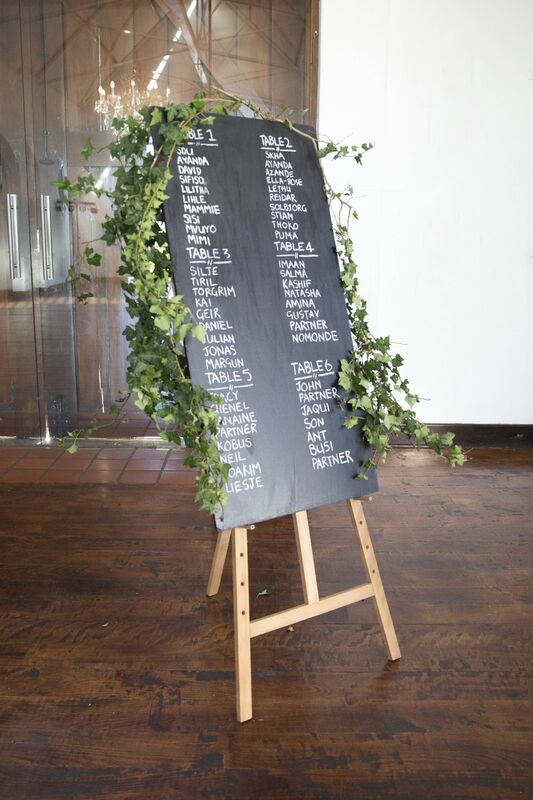 The reception venue is a lovely space, Michelle wanted raw wooden tables with garlands of greenery. 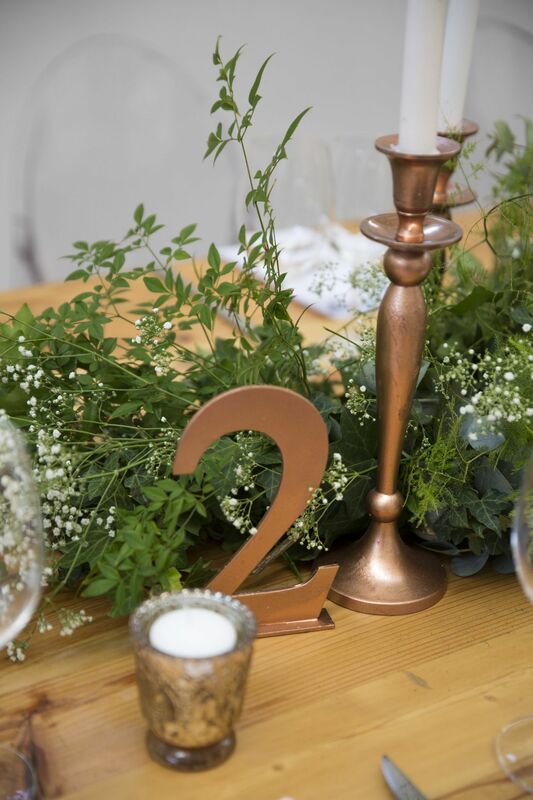 The colours for stationery were navy and rose gold which complimented the overall look & feel. 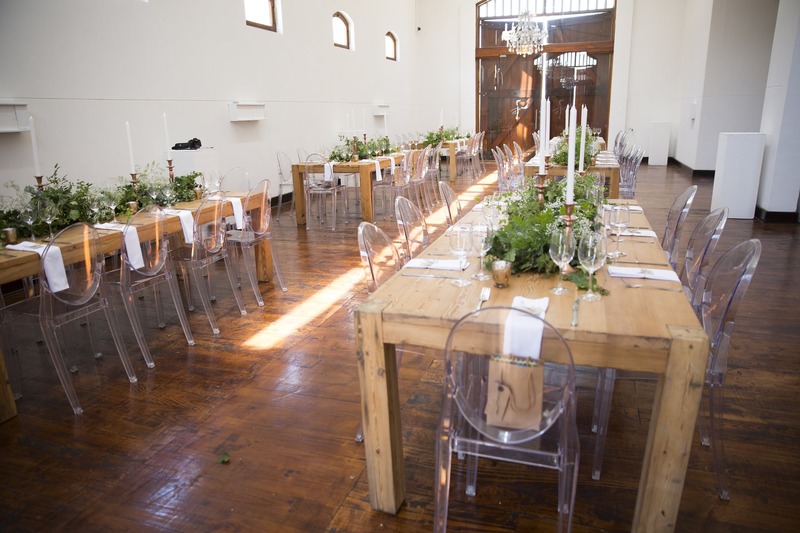 Michelle loved the look of ghost chairs, so those were brought in for seating. 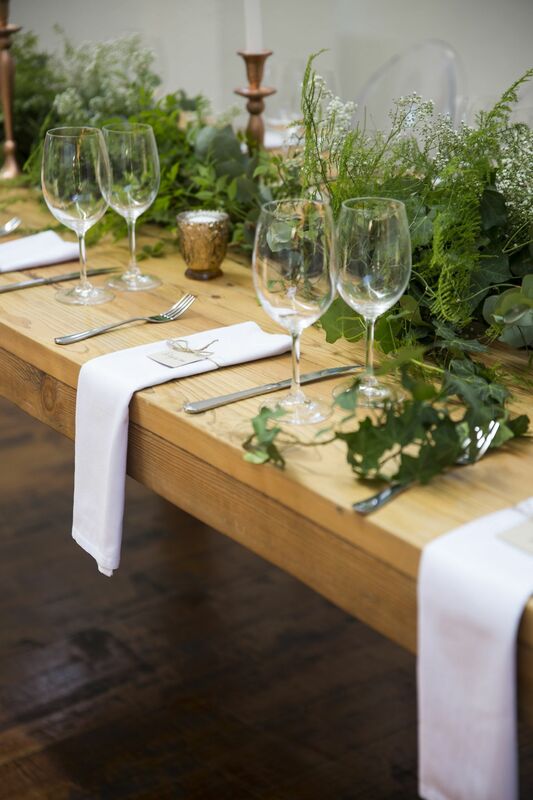 Liz did a great job of making the tables look beautiful. 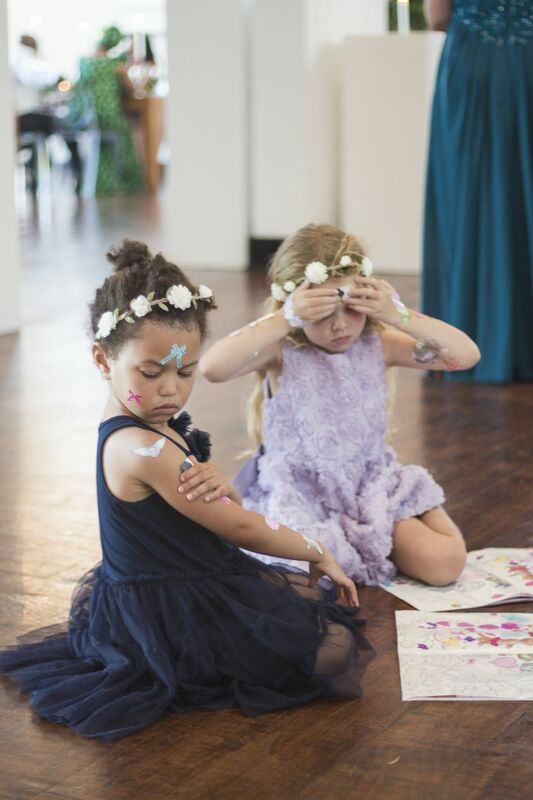 As it was a child-friendly wedding she made up a child party packs so they could be entertained all evening. They had a big dance floor and bar right next to it so they were not short of space for a good party. 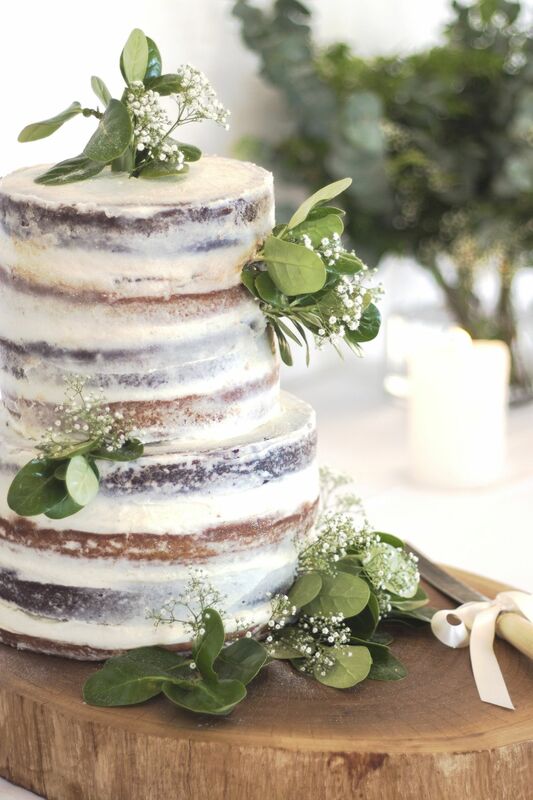 The venue does all catering and the food was amazing! 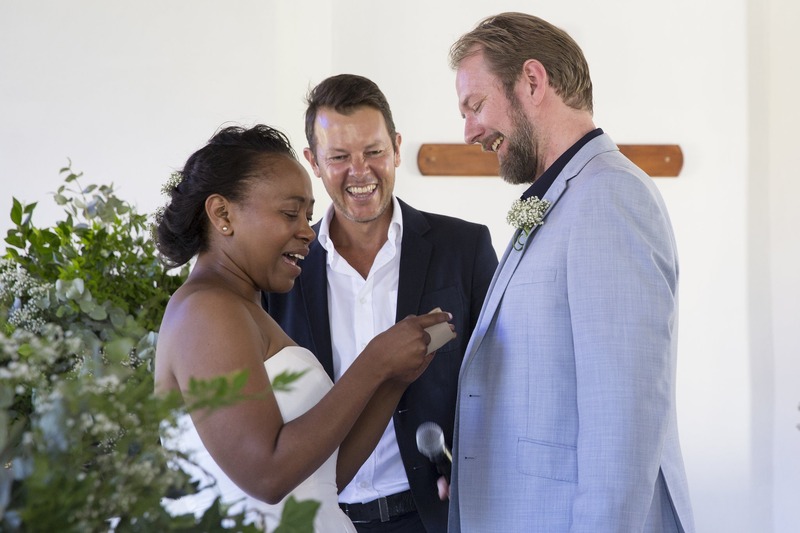 There were a few speeches but the big surprise was Michelle stood up and sang a song for Stian, we did not know she had such an amazing voice!! 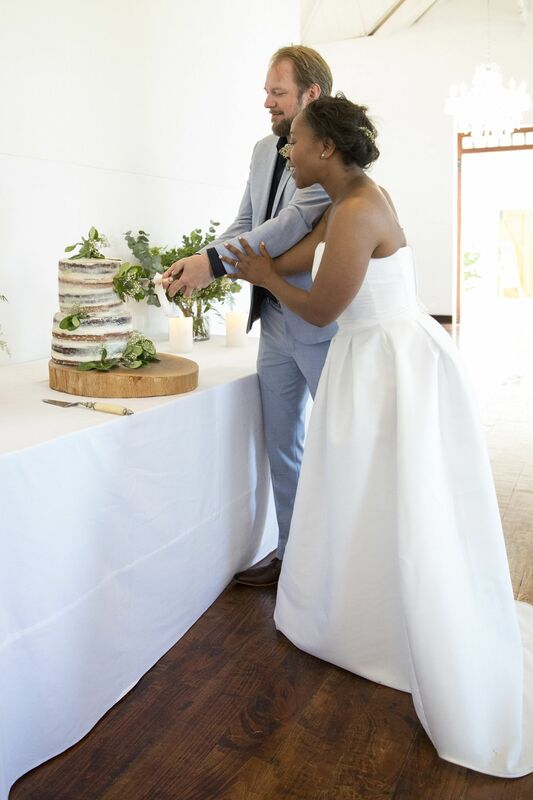 Another surprise that we loved was, all guests received a small flag under their side plate to use when opening the dancefloor. 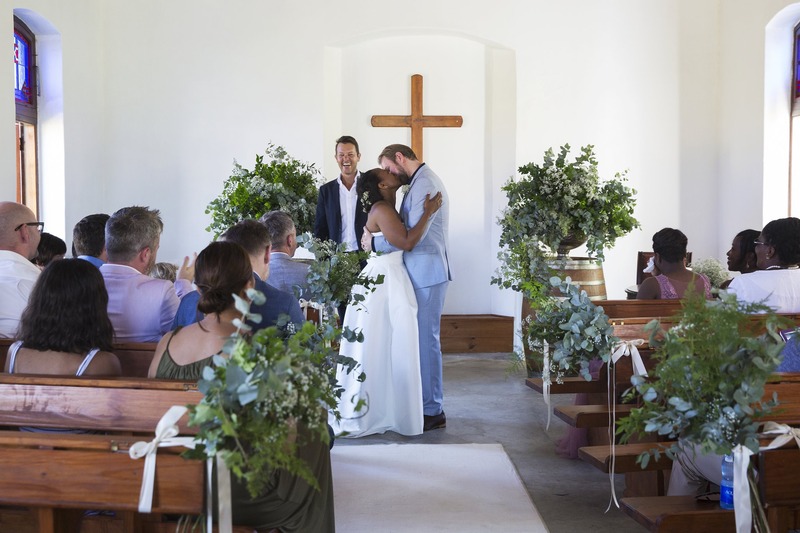 The first dance was “Can’t help falling in love with you” then straight after all guests joined the dance floor with their flags to sing “wavin flag” song. This was to show all the nationalities around the world coming together. It also got everyone on the dancefloor and the party began. 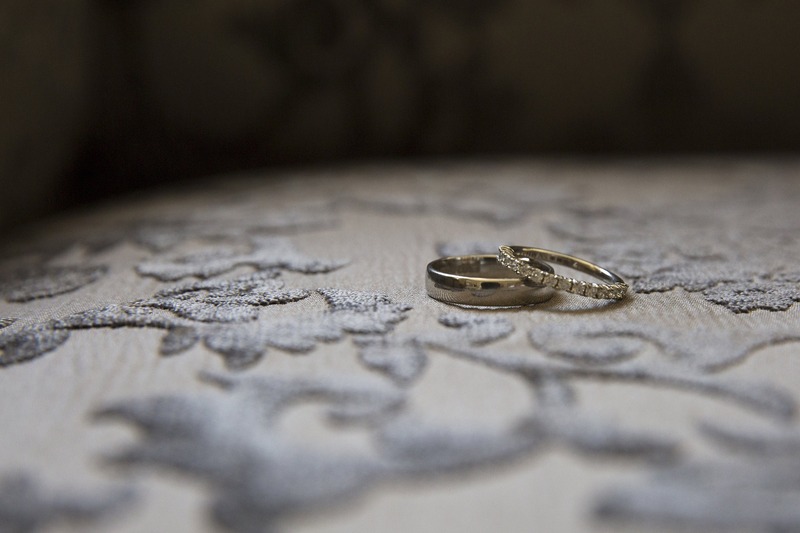 Michelle and Stian Wedding was beautiful, we wish them all the happiness in the world. 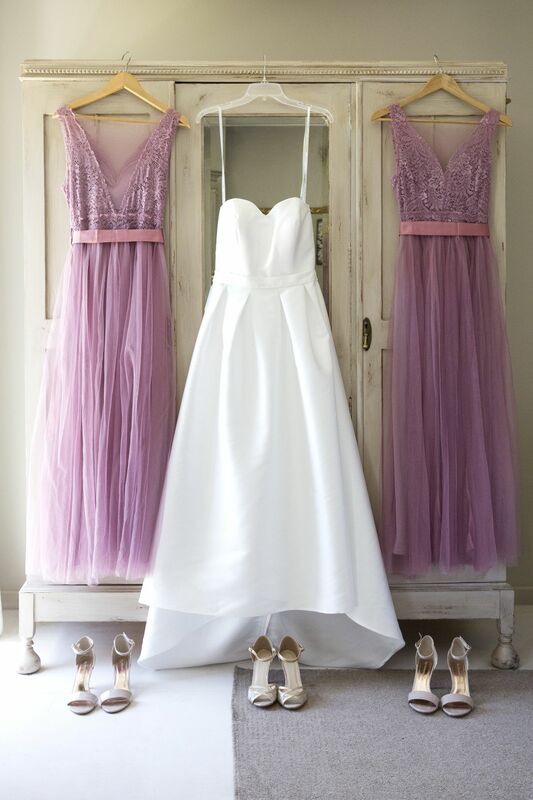 May all your dreams come true and you remain a happy family!